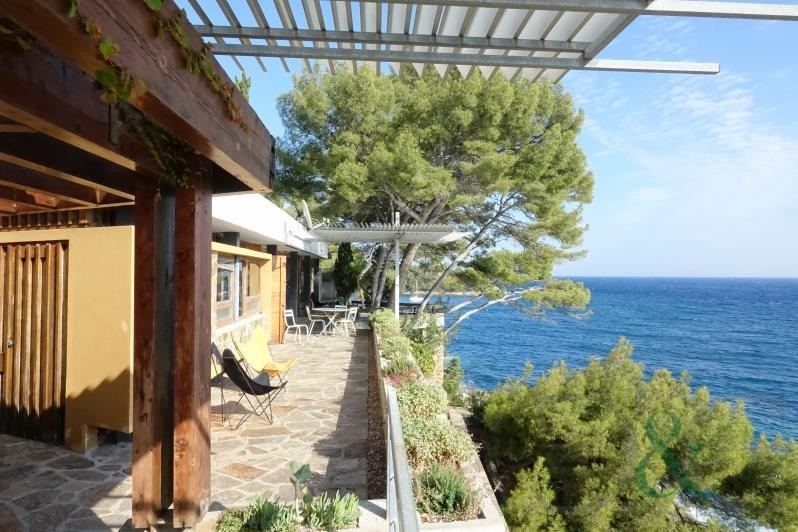 This waterfront property is situated on the Var coast in Le Lavandou. This californian style property has been built using Bormes stone by a renowned architect. 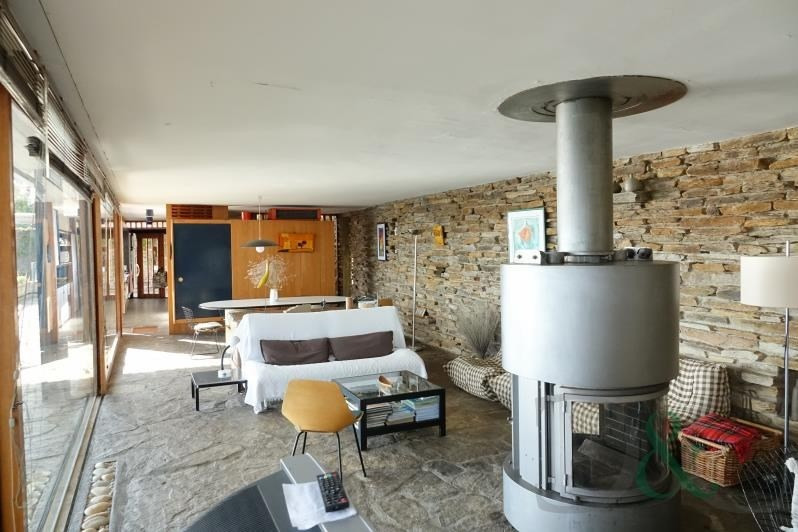 The property has been classified a remarkable building of the 20 th century. 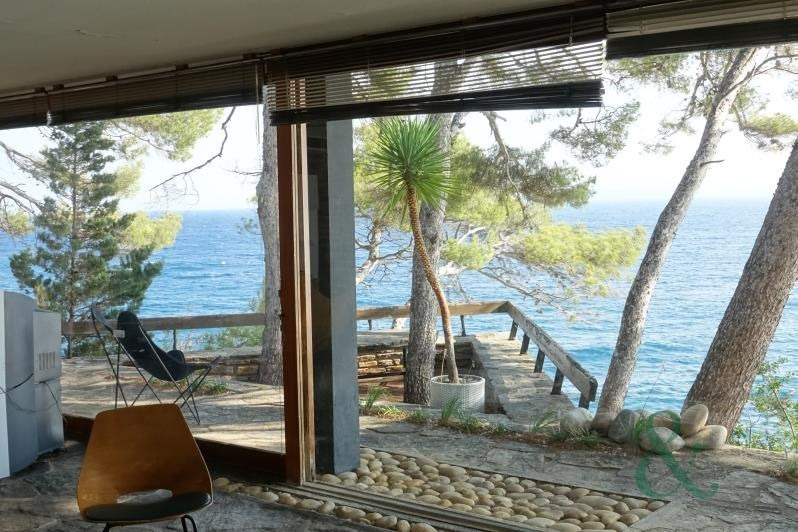 There is a living space of 40m² openng onto the terrace with stunning views. Fitted kitchen has been built like a boat in harmony with the sea. There are three bedrooms one that is a suite. Independant studio ideal for staff or guests. The property has two garages. Beautiful creek at your feet and the beach of Aiguebelle a short walk away. 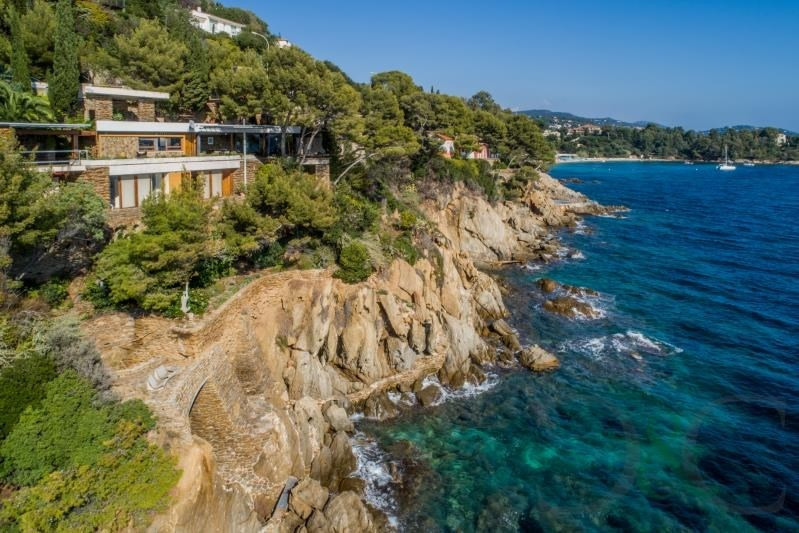 This property has breathtaking views and is exceptional !